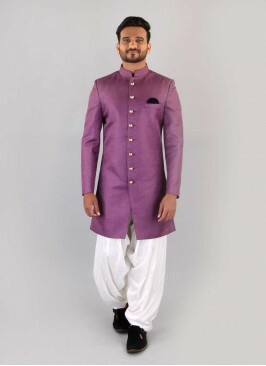 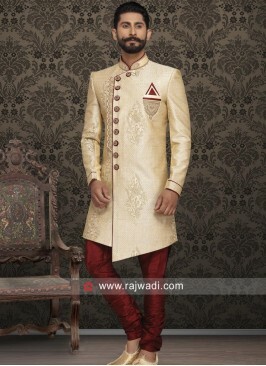 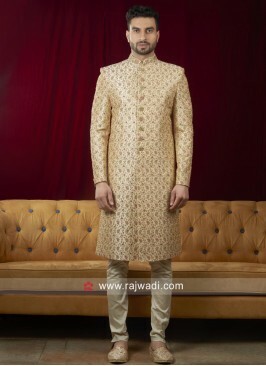 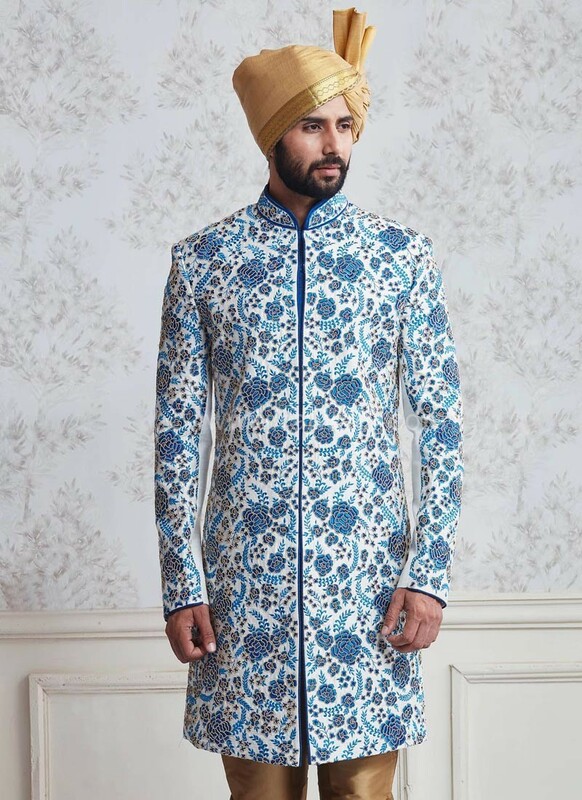 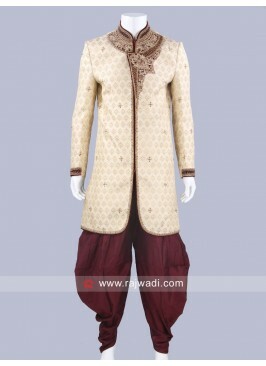 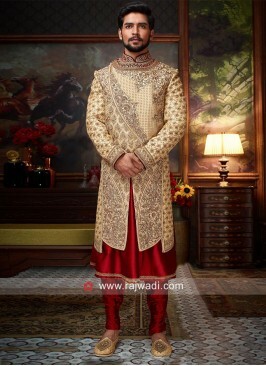 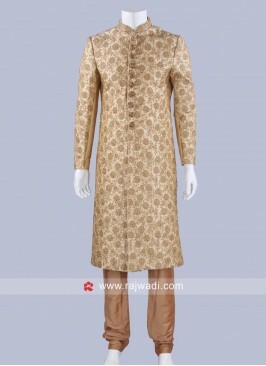 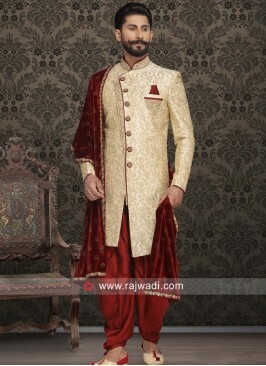 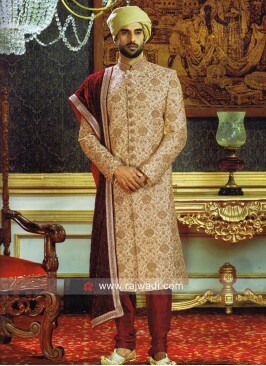 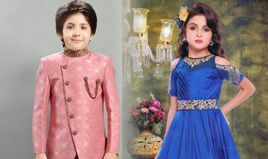 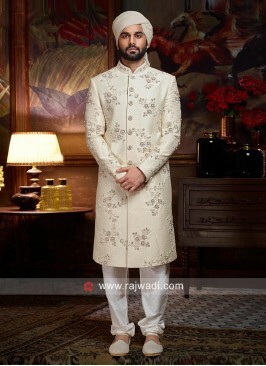 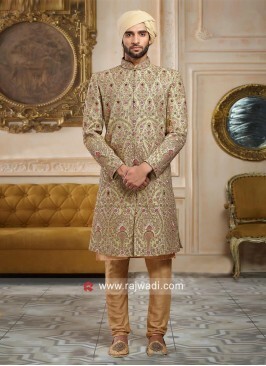 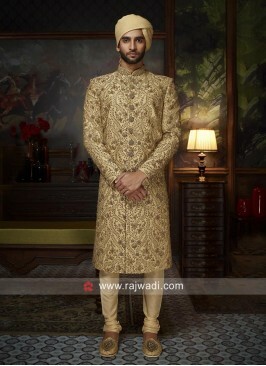 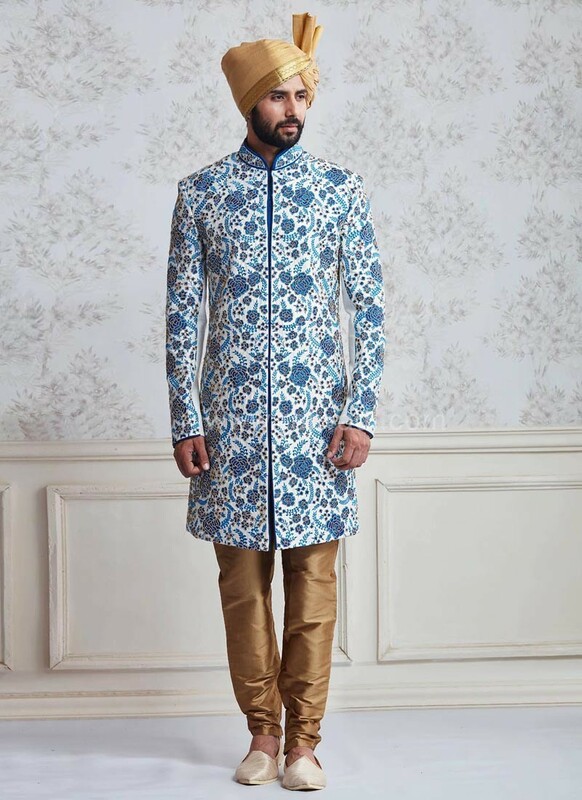 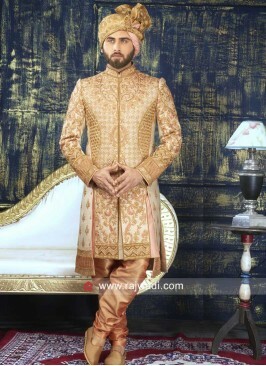 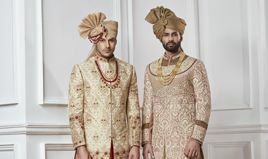 Royal White and Blue Raw Silk long sleeve Sherwani with machine hand embroidery work to enhance the attire look. 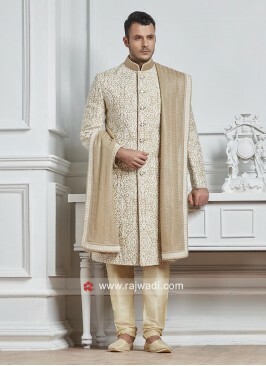 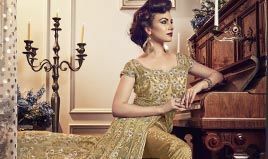 Paired with contrast Golden Taffeta fabric bottom. 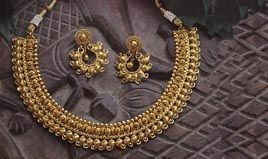 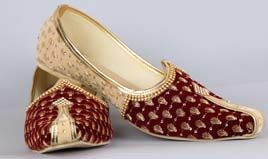 Stone and Cutdana Work Sh..